When it comes to making dependable hot line tools and equipment, Hastings Fiberglass products are the first choice for customers around the world. 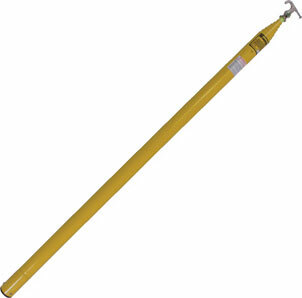 Hastings ST-240 Hot Stick with Tip Lock Feature is one of the most widely used Retractable Fiberglass Sticks. The Tip retracts and locks into next larger section. The tip diameter for this model (extended) is 7/8 in or retracted 1 3/32 in.